By Gareth Morgan, Vice-Chair of husITa. Almost exactly 30 years ago, the means tested benefit system in the UK underwent a massive change. In April 1988 the previous Supplementary Benefit and associated schemes changed overnight to one called Income Support with, again, other linked ‘income -related‘ schemes. I said overnight, and it was overnight, and it all went very smoothly. One of the reasons for the redesign was to make the system more amenable to computerisation. The previous scheme had been more attuned to individual needs, relied on human assessment and was, to a limited extent discretionary. The new system was more broad-brush in its assessment of need, was assessed more automatically and lacked discretion. It still made use of paper forms that were manually completed and had to be entered into the ‘system‘ by hand. The schemes themselves had much to criticise but, administratively, they worked. Technology has moved a long way since then and the UK government, wanting to take advantage of that (and for some less benign reasons) decided to undertake another major redesign of the means tested benefits system some years ago. 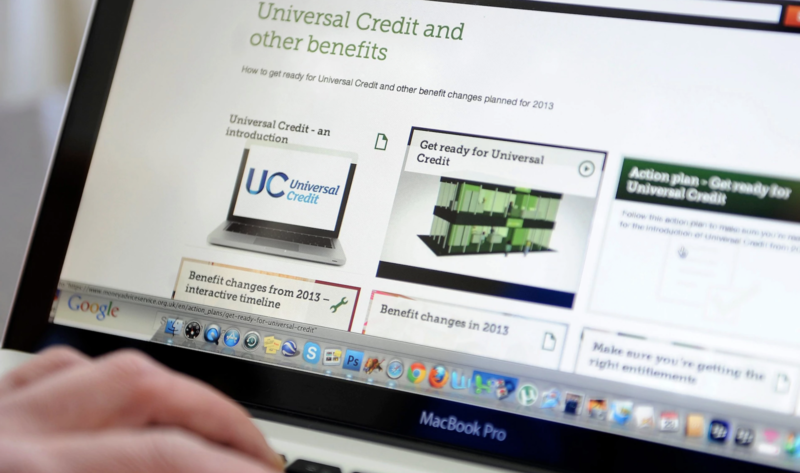 They decided to simplify the multiple benefits of the previous decades, introducing one single integrated scheme – Universal Credit – and to make it ‘Digital by Default ‘. The concept of the simpler scheme was widely welcomed, although the simplicity was abandoned in its detailed design as budgetary cuts introduced harshness and complexity. Of course, the great advantages made in technology would ensure that, at least, its introduction would be even smoother than that of its predecessor. The government recognised that there were risks in introducing the new system and decided on a gradual implementation rather than the overnight approach previously used. They also decided, for safety, to use an Agile development system where continuous development and testing in smaller discrete elements would ensure robustness and efficiency. Announced in 2010, the benefit was to begin with people making new claims, and then migrate all those on the existing schemes across. By 2017 all 6 million people affected would be receiving the new benefit. In fact only about 260,000 people were getting the new benefit by that date. Poor planning, poor management and disastrous technology. The original IT system had to be, effectively, thrown away and started again. Agile has disappeared, together with hundreds of millions of pounds of expenditure, and the likelihood now that the end date for completion will be well past 2022. Digital by Default has now become Digital as Appropriate. The experience of people trying to claim the benefit is almost entirely negative. There are enormous flaws in the IT system which have to be manually worked round and many of the fundamental elements of normal IT, such as a visible audit trail, do not exist. My company has been producing tools for advisers to calculate benefit entitlement since the early 1980s. It took us about three weeks from when the Universal Credit regulations were published to have a workable system that could calculate people’s entitlement to the new benefit. For many people however such a calculation, often used to check against the official calculation is not useful when the official calculation does not exist or is frequently wrong. In many ways we are doing the easy bit of computerising the system. Many people look at the complex calculations and assume that there, rather than the boring administrative underpinning, is where problems will lie. That isn’t the case and when systems have many millions of cases of people who depend on the speed and accuracy of payments to be able to eat and house themselves, you can understand why. Nonetheless making sure that people get the right amount of payment is an important task for advisers and intermediaries. For me the question is whether our calculators have made a difference in that. Our systems carry out millions of calculations a year, so somebody finds them useful but in one crucial area they seem to have failed completely. When we started, we believed that their biggest use would be to tell people, who were not receiving benefits that they were entitled to, and tell them to how much as well. Indeed, they do that, and do that well, but, if anything, more people now do not claim the benefits that they are entitled to than 30 years ago. It’s not, just, that advice and advisers are in shorter supply now, although they are; most users of our systems are now by people doing it themselves online. The research tells us that the two biggest reasons for non-take-up up of benefits is because people don’t know the benefits exist or don’t believe that they are entitled to them. If people are in those groups then they’re unlikely to use tools like ours to check entitlement. The technology can do the sums, but it can’t make people use it. Perhaps the amount of data held on people by Google and Facebook could make a good attempt to push information about entitlement to their users, because of the amount of data they hold. Now that’s a question you might like to comment on.